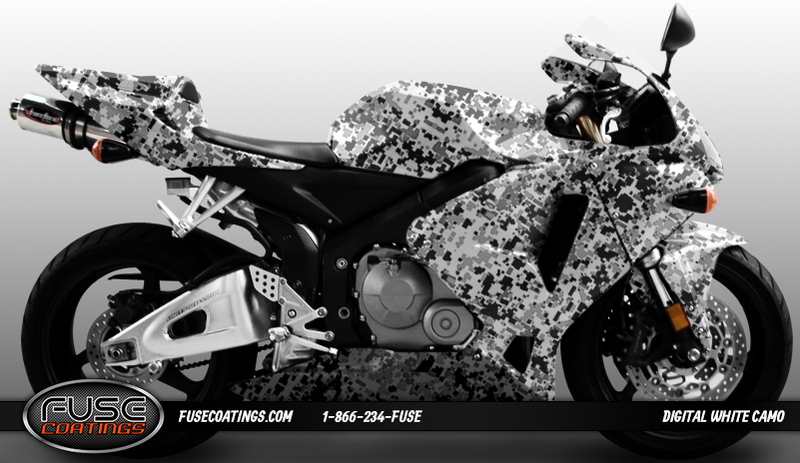 Custom hydrodipped mirrors currently on sale through May 15th. 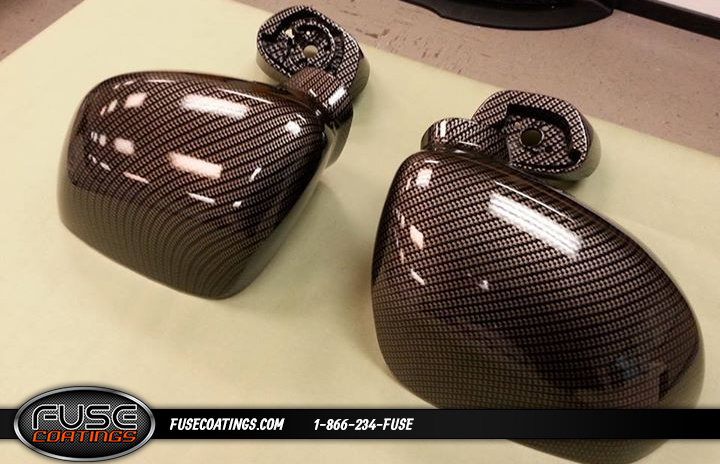 Pictured below is our customer favorite "black carbon fiber" but we have over 1000 other designs to choose from. Designs not currently in-stock may be an additional cost. Feel free to email or call us (M-F 9AM-5:30 PM). But if my mirrors looked that good I would need to wash them all the time? 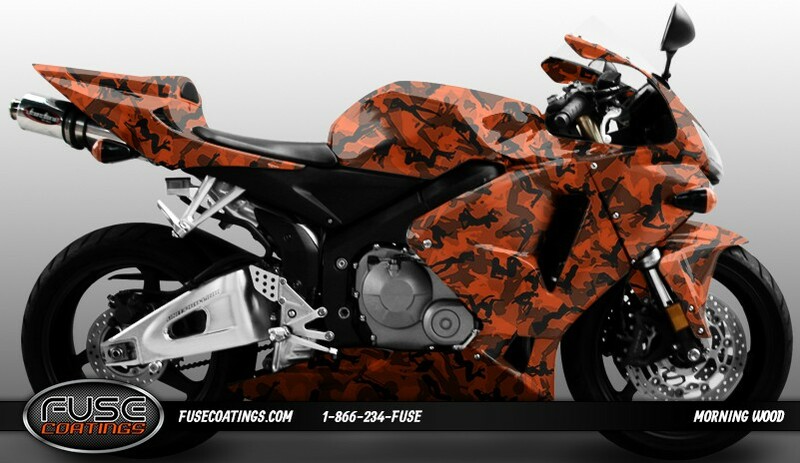 Can you do that to race fairings? How big can the object be? Cost and size are probably the limiting factors. Isn't that what it always comes down to. Probably still cheaper than getting the Dupont paint you are using and the time involved...etc. I shoulda just grabbed a few cans of rustoleum with as many times as I've had to fix those damn things. Yes - we can dip as big as a car hood. Well I'll be dipped in EBS! I can think of some other things U could be "dipped" in. I couldn't let that one go.. Had to say it. 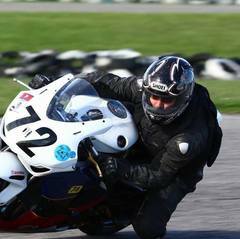 So I could bring in turn signals, mirrors and hand guards. Have them redone in black, since both my KLR and Tiger are all roughed up. Yeah we can do it all. Not a problem! Shoot us a call or email. Turn around right now is 3-5 days or faster! Turn around is about a week currently. Shoot us an email or call us! 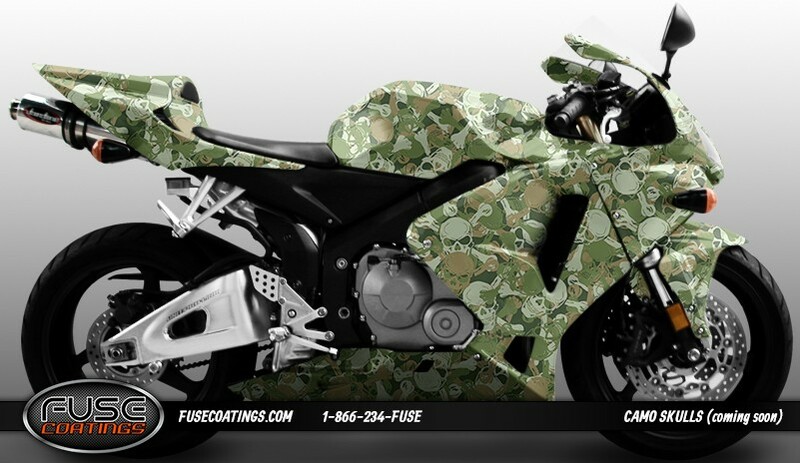 We have graphic artists on hand that can render up your bike in any pattern or color we have. Nothing cooler than getting your bike wrapped in skulls and/or naked chicks. Dog, that's you!! What is the durability with daily use? Is there no no's with it's care? Once done is there added needs to finish for it to last? Don't hold me to this, but after it's dipped they'll shoot it with a automotive clear coat. We use automotive paint (base coat) and clear for the final product. Its just like car paint, if it chips on a car it will chip on this. 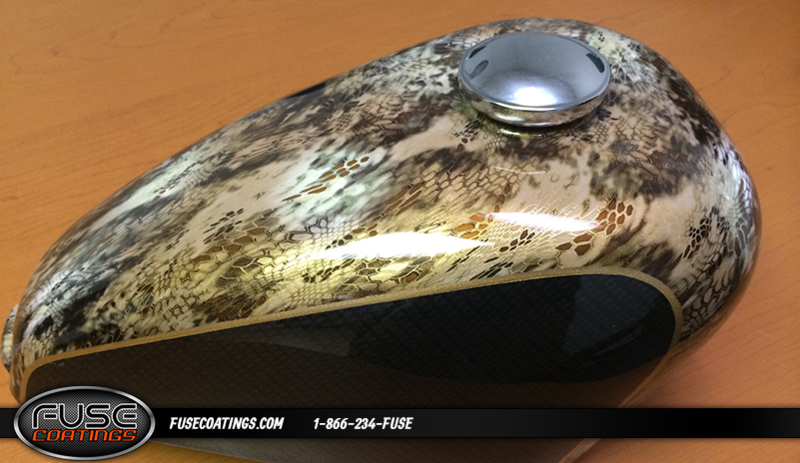 That being said we can load up the clear as much as you want for an ultra glossy look (and durability). Recent tank we did, this is a double dip (two different patterns) with pin stripping. Turned out great!